Donald Waldhaus may have been the only of Derbyite to be a member of a US Olympic Team. 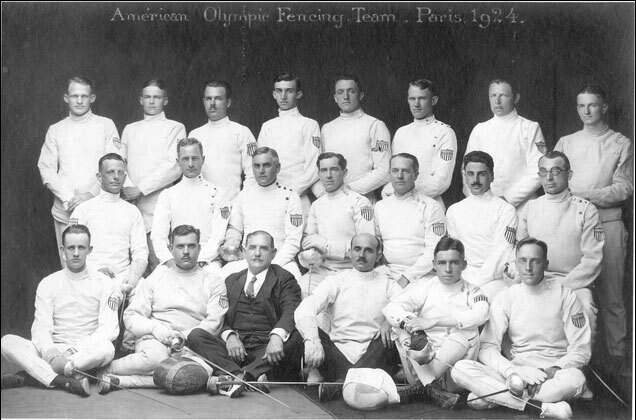 He was a member of the 1924 US Olympic Fencing team that came in 5th place in Paris. At the time, he was the manager of the insurance department of the Home Trust Company in Derby and resided at 157 Minerva Street. In his spare time, he was quite an accomplished fencer and in 1924, he captured the junior epee championship of the United States and was selected as one of twelve members of the US team at a competition held in New York in April. Waldhaus had competed in the trials as a member of the Washington Square Fencers Club. At the Olympics, the US team was eliminated by the Portuguese, but not without controversy. The two teams played their match to a draw, but the Portuguese protested over the listing of names on the rosters. When the judges ordered a replay, the Portuguese took advantage and eliminated the American team. Click here to learn more. In the replay, the Portuguese had 10 victories and received 7 touches while the American's had 6 wins and received 21 touches. Waldhaus had two of the six US victories. 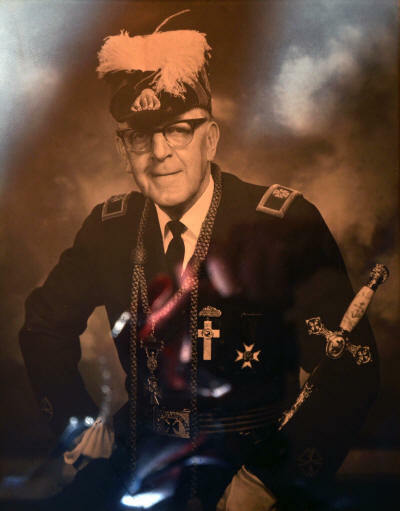 Waldhaus was born in Bridgeport in 1895 and was a veteran of WW1 serving in the U.S. Army's Medical Corps. He was a member of the Veterans of Foreign Wars and the American Legion. He later lived in Shelton where he opened his own insurance agency, and was very active in the civic life of the community. He was president of the Derby-Shelton Rotary Club in 1932 and also was a president of the Shelton Chamber of Commerce in 1960 (now Greater Valley Chamber). He was also very active and held leadership positions with the the First Methodist Church and the Masons and many other groups. He passed away in 1975. 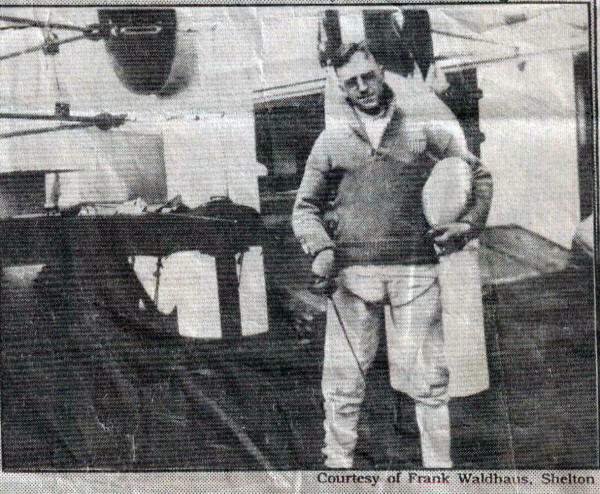 Picture showing Waldhaus on his way to the 1924 Olympics.